We have a cool opportunity right now to look at HearthStone and make some guesses about the best strategies to market it. It has technically only just launched, but I haven’t yet seen any HearthStone marketing materials circulating. A very real reality is that to achieve profitability, Blizzard could technically not look farther than their own existing user base. In the last article I wrote about HearthStone monetization we covered this point. But this isn’t any kind of perspective you would want to at a major studio. It’s not about how many users you can earn without trying, it’s about the awareness and then engagement you develop with your audience. I really groan when marketing managers rely on PR syndicates and large media buys to market their game – so here are two original ideas on how I would market HearthStone. Everyone seems to have a different name for them, but the basic idea is having those with gaming industry influence endorse your game. One of the best strategies I’ve ever worked on was working with YouTube channels with large followings to create videos of them playing your game. The idea isn’t new, but the way we chose to do it is. The basic strategy everyone goes for is to send through a Steam key so the game can be downloaded by a select few. You drop keys to a dozen or so channel owners and pray they give you a glowing review and publicly endorse your game. 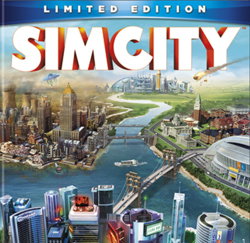 Some developers will only even give access to the game upon the condition the game is given a good review or will pay extra for positive feedback. I do not endorse this behaviour on ethical grounds, but also because it is now illegal (in USA) for someone to not explicitly state they were paid to provide a specific stance. 1. Provide prizes based on how well a player does (based on score or some other achievement). If the YouTuber posts a video of them earning the highest points of all the other gamers they will receive 20 keys go give away to their subscribers or whoever they choose. 3. Develop extended narrative. Add an additional handicap for YouTubers to increase the intensity and significance for their failure and success. Getting YouTube viewers emotionally involved with the video will increase the engagement and desire to check out their game for themselves. This is just a rough example of how I would do it for The Long Dark, but the same principal can be applied to any new title release. As I mentioned in part 2, HearthStone begs to use the cross product marketing strategy. The core concept relies on the fact that the user base in your other games will be a relevant audience for your new game. By encouraging users in your existing franchises to try your new product, you are accessing your target demographic without any marketing expenditure. 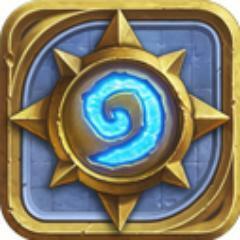 – Having WoW in game events which allow players to earn in game currency redeemable in HearthStone for more card packs. – StarCraft Arcade minigames centered around HearthStone Content with the top 1,000 players on the score leaderboard earning exclusive HearthStone card editions (vanity based, not enhanced abilities). – Earn a legendary card for speed running Diablo 3 final act without dying. The overall objective with all of these events is the require the player to input significant effort into receiving the reward which will raise the perceived value of the offering. Players will then be more eager to use or redeem their reward once earned (so they didn’t spend 2 hours for nothing).